Original CSF-3 Super Feeder serviceable for years to come, made in USA and sold by Super-Feed for over 23 years! All parts readily available and easy to replace if ever needed. Many modes of operation, indoor or outdoor applications and ease of maintenance and repairs. Some Wi-Fi/automation/voice command systems may also be used. See example how Google works for a customer using voice activation. MOST ECONOMICAL DEAL if you can mount it yourself to a suitable mount! 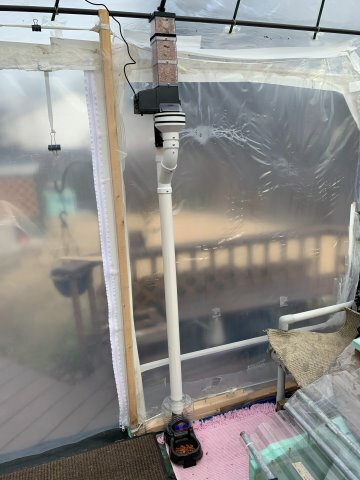 Combo Deal includes: CSF-3 Cat/Small Animal Super Feeder, two tough polycarbonate clear extensions for a total feeder capacity of just above a quart (4 and 3/4 cups (1.5 lb) and expendable later if needed, mounting bracket and all hardware, power adapter with 6 foot cord, ACAT-23 indoor type analog timer (style may vary) for up to 48 possible daily feed cycles , and mounting instructions. 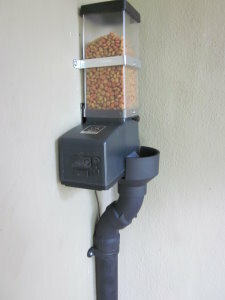 It can be easily mounted to a cat play stand, any 4x4, 2x4 in your garage, shed or covered patio, or even hung (visit http://www.super-feed.com for lots of mounting information). NOTE: If placed outdoors under a porch where wild animals can get to it, make sure you strap the upper end of the clear extensions at the lid so the extensions cannot be ripped off. Extra metal straps are available, or you can make your own. You must at least protect the chute opening area, or you may enclose the whole feeder in a wood box (recommended). Its supplied indoor-type power supply and timer must also be kept out of the weather if used outdoors. Voltage required: Power supply (supplied) 110-240VAC 50-60Hz 12VDC output, all timers 120V 60Hz-USA style plugs only-not battery operated. If a 120V power source is not available, you may even use any of our 6-24V timers listed here to use your own low voltage power source (some wiring required). 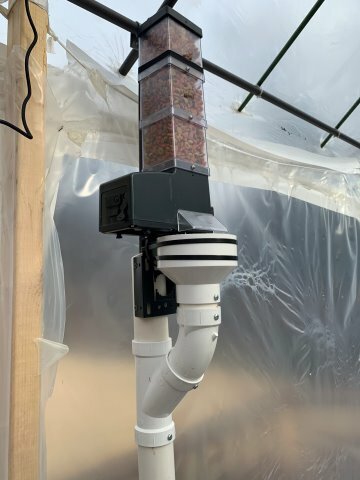 The larger CSF-3XL is also available which comes with an additional 1.5 gallon (24 cups) container which stacks on top of the feeder and can also be purchased separately for this feeder. NOTE: USING A NAME BRAND LIKE "SCIENCE DIET" IS ONLY A BRAND EXAMPLE AND DOES NOT NECESSARILY MEAN THAT YOU ARE USING "RECOMMENDED" KIBBLE TYPE AS LISTED ABOVE IF YOU MUST HAVE THE BEST PORTION ACCURACY. 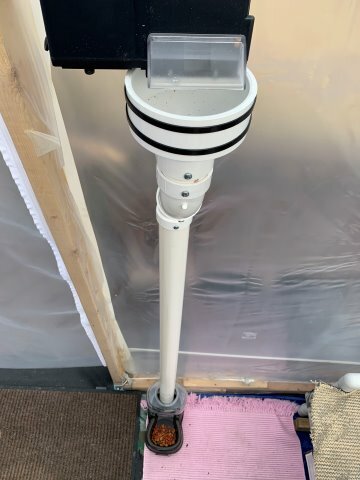 First, be sure to adjust your super feeder's desired portion size by plugging the power supply into a power outlet and adjusting the feed duration controller with the little supplied plastic screwdriver as explained in your feeder's manual or video. Then plug the power supply into the Smart Plug after you have installed it just like you would a lamp. The TP-LINK HS100 Smart Wi-Fi Plug is perfect to control your Super Feeder® remotely for up to 15 meals/snacks per day. It is one of the easiest we tested to install and use. Just follow directions included with the Smart Wi-Fi Plug. All you will need to do once installed is program suggested 2 minutes of "on" time for each feed cycle time of day you want. Make sure you program "on" and "off" time, i.e. 8:00 AM and off at 8:02 AM for each time of day you want to feed your pet. Also select all or certain days of the week you want to trigger your Super Feeder® to feed your pet. The feeder runs only for time in seconds you previously adjusted the feeder to give you the portion needed and then stops. You may of course trigger your Super Feeder® anytime by remotely turning it on for a few seconds and turning it back off yourself from your device. You may install and operate several Wi-Fi Plugs and feeders simultaneously in different places within range of local Wi-Fi. 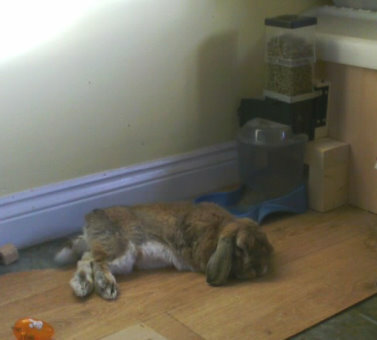 Note: The feeder must have been powered down for at least 2 minutes between feed cycles to assure it triggers again. If it has not been off long enough like repeatedly turning it on and off, the feeder will not work, which is normal. You could also control the Super Feeder® by voice command using this TP-LINK Smart Plug compatible with Amazon Alexa®. The TP-Link Camera could be a great addition. Many ways to operate your Super Feeder®. This is what makes it so unique! For Wi-Fi control, the Wemo Wi-Fi switches by Belkin have been used successfully. 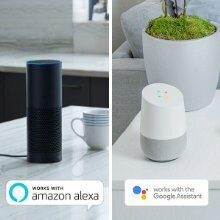 Various systems that are currently being used are available from smarthome.com Note: Some systems offered on the market today suffer from perpetual changes and updates rendering some systems unusable if not compatible with certain Wi-Fi systems. Some Wi-Fi switches on the market may not work if the socket does not turn off completely (some do and some may not like used for dimming lights), meaning that any residual power coming out of it during its off time will prevent the feeder from resetting itself between programmed feed cycles and will prevent it from triggering. NOTE: Iris brand "smart outlet" in-wall has been reported to work with smart phone. Z-Wave Smart Outlet the "Quirkey+GE Outlink Smart Outlet systems will work. Some systems by Leviton may not work properly due to the fact that their systems such as Z-Wave module, Z-Wave receptacle and dimming modules may not completely turn off and thus not work with the Super Feeder. Any socket must not bleed any voltage while in off mode. You still retain the option to use just about any type of common lamp timer to operate your Super Feeder®. Anything that will turn on a lamp or appliance will trigger and operate the Super Feeder®.